I would strongly recommend using the current version of SystemC 2.3.1. That should install "out of the box" just by following the INSTALL and README files in the installation. The steps you're quoting (1 to 4) are very specific to someone's setup, and not general. 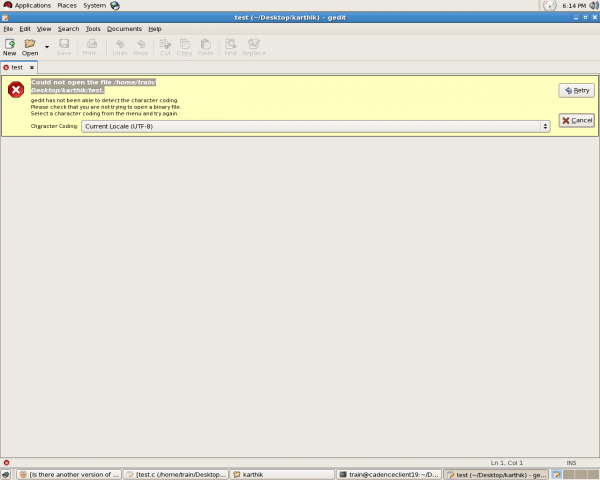 Also gcc 2.95.2 is about 10 years old - most modern linux distributions are up to about gcc 4.7 or later. If it doesn't work, use the package manager for your distribution. cant install on the latest Ubuntu, no gmake comand found, please help!!! but when I go into one of my own example it still cant find the systemc.h file as seen below, after trying to add the environment variable path, can you please tell me what I'm doing wrong. (gedit:10957): IBUS-WARNING **: The owner of /home/dukenukem/.config/ibus/bus is not root! (gedit:11006): IBUS-WARNING **: The owner of /home/dukenukem/.config/ibus/bus is not root! Are you sure that systemc is installed in /usr/local/SystemC-2.3.1? and does that show the install?